These digital collections feature audio recordings held by UVic Libraries. 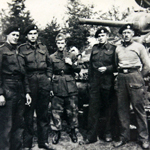 Digital audio files and transcripts from the University of Victoria Special Collections Canadian Military Oral History Collection. The collection is composed of interviews of veterans of WWI, WWII, the Korean War and the War in Afghanistan. Over 370 recordings done by Dr. Reginald H. Roy and his students are the largest holding in this category. Historian Hal Lawrence also donated over 180 recordings that he collected of Canadian Naval personnel. These sound recordings are part of the Provincial Normal School Oral History Interview collection, held at the University of Victoria Archives. 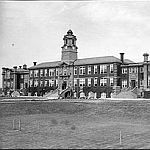 The Provincial Normal School (PNS) was established in Victoria, BC, in January 1915, to provide preliminary and advanced courses in teacher training. In 1978, Judith Windle conducted 19 interviews in which former instructors and students discussed their experiences while at the PNS.